Meyer Brownstone (June 22, 1922 — April 3, 2019)  was a Canadian activist, civil servant, and academic, particularly notable for his longtime involvement with Oxfam Canada. Oxfam Canada, founded in 1963, is an international development agency based in Canada, and is a registered charity. It is located in Ottawa, Canada and it works with partner organizations in Africa, Asia and the Americas. It focuses on the root causes of poverty, injustice and inequality, with the stated intent of creating self-reliant and sustainable communities. Oxfam believes that to end global poverty women's rights must be secured. Oxfam Canada is a founding member of Oxfam International, the federation of Oxfams worldwide. Brownstone was born in Winnipeg in 1922 to a poor Jewish socialist family. His parents were Olia Brownstone (née Roseman) and Charles Brownstone. His siblings were Hannah (married to Dr. Norman Hirt), Sam (married to Odette, parents of Justice Harvey Brownstone) and Shieky (married to Ellen). Red Lake is a municipality with town status in the Canadian province of Ontario, located 535 kilometres (332 mi) northwest of Thunder Bay and less than 100 kilometres (62 mi) from the Manitoba border. The municipality consists of six small communities — Balmertown, Cochenour, Madsen, McKenzie Island, Red Lake and Starratt-Olsen — and had a population of 4,107 people in the Canada 2016 Census. Meyer Brownstone became the chair of Oxfam Canada in 1975. For his work with Oxfam Canada, he was the 1986 recipient of the Pearson Medal of Peace. Meyer was Chair Emeritus for Oxfam Canada at the time of his death. The Pearson Medal of Peace is an award given out annually by the United Nations Association in Canada to recognize an individual Canadian's "contribution to international service". Nominations are made by any Canadian for any Canadian, excluding self-nominations. The medal was first announced in 1979 and named in honour of Lester B. Pearson, Nobel Peace Prize winner and Canada's fourteenth Prime Minister. The medal was to be selected by a jury of "eminent Canadians" and awarded by the Governor-General of Canada on United Nations Day, October 24. After the 2004 medal was awarded to Roméo Dallaire, it was not awarded again until it was revived in 2011 to honour peace activist Ernie Regehr. Faced with the numerous conflicts in Central America in the 1970s and 1980s, Meyer Brownstone was deeply involved in the region. From 1981-1985, Brownstone participated in several observer missions to the refugee camps of Colomancagua, El Tesoro, Mesa Grande, and La Virtud in Honduras, documenting the life and struggles of the refugees fleeing the Salvadoran Civil War. He was head of a 1985 mission sponsored by Oxfam Canada and the International Committee of Voluntary Agencies to investigate reports of an assault by Honduran troops on the Salvadoran refugees at Colomancagua. In 1986 and 1987 Brownstone participated in two missions to El Salvador, working with the Salvadoran government and the Farabundo Martí National Liberation Front. Brownstone also participated in Oxfam Canada missions in Nicaragua during this time. During the dismantling of apartheid in South Africa and the South African administered territory of Namibia (then known as South-West Africa), Meyer Brownstone played a central role in a number of international observer missions. In July 1989, Brownstone was appointed spokesperson/coordinator of the Canadian Council on International Cooperation's mission to Namibia. The primary goal of the mission was to monitor the withdrawal of South African troops following the end of the Namibian War of Independence. A few months later, Brownstone was appointed head of the Canadian mission that oversaw the first Namibian parliamentary election in November 1989. In the lead up to the first South African election following the end of apartheid, Meyer Brownstone participated in two observer missions to South Africa. Brownstone and his team were tasked with increasing voter awareness, enlisting staff for the electoral process, determining the logistics for the election, and monitoring political violence. In 1994, Brownstone was appointed head of the Canadian mission to oversee the election itself. Among the Canadians on the mission were Ed Broadbent, former leader of the federal New Democratic Party, and Flora MacDonald, a former cabinet minister. The electoral mission was tasked with peace monitoring, election monitoring, advising and aiding the Independent Election Commission, and providing coordination with other international missions. Meyer Brownstone died in Toronto on April 3, 2019. Politics of Namibia takes place in a framework of a semi-presidential representative democratic republic, whereby the President of Namibia is both head of state and head of government, and of a pluriform multi-party system. Executive power is exercised by both the President and the Government. Legislative power is vested in both the Government and the two chambers of Parliament. The judiciary is independent of the executive and the legislature. Since independence, with Jaja Wachuku as the first Minister of Foreign Affairs and Commons, later called External Affairs, Nigerian foreign policy has been characterised by a focus on Africa as a regional power and by attachment to several fundamental principles: African unity and independence; capability to exercise hegemonic influence in the region: peaceful settlement of disputes; non-alignment and non-intentional interference in the internal affairs of other nations; and regional economic cooperation and development. 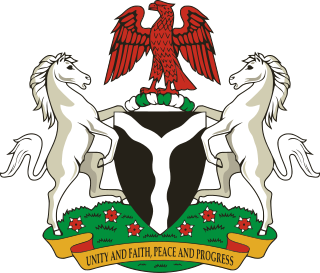 In carrying out these principles, Nigeria participates in the African Union, the Economic Community of West African States (ECOWAS), the Non-Aligned Movement, the Commonwealth of Nations, and the United Nations.There are many Nigerian organizations outside the country. Prominent among them is the Houston, Texas United States-based Nigerian Union Diaspora (NUD), which is the umbrella Non-Governmental Organization (NGO) for the economic and political empowerment of the people of Nigerian descent outside Nigeria. The International Organization for Migration (IOM) is an intergovernmental organization that provides services and advice concerning migration to governments and migrants, including internally displaced persons, refugees, and migrant workers. 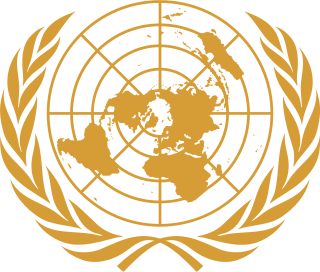 In September 2016, it became a related organization of the United Nations. It was initially established in 1951 as the Intergovernmental Committee for European Migration (ICEM) to help resettle people displaced by World War II. As of March 2019, the International Organization for Migration had 173 member states and eight observer states. The United Nations Operations in Mozambique (UNOMOZ) was a UN peace mission to Mozambique established in December 1992 under Security Council Resolution 797 with the assignment to monitor the implementation of the Rome General Peace Accords agreed upon by the Mozambican president Joaquim Chissano (FRELIMO) and Afonso Dhlakama of RENAMO. Its mandate ended in December 1994. Election monitoring is the observation of an election by one or more independent parties, typically from another country or a non-governmental organization (NGO), primarily to assess the conduct of an election process on the basis of national legislation and international election standards. There are national and international election observers. Monitors do not directly prevent electoral fraud, but rather record and report such instances. Election observation increasingly looks at the entire electoral process over a longer period of time, rather than at election-day proceedings only. The legitimacy of an election can be affected by the criticism of monitors, provided that they are themselves seen as unbiased. A notable individual is often appointed honorary leader of a monitoring organization in an effort to enhance its own legitimacy. Hage Gottfried Geingob is the third and current President of Namibia, in office since 21 March 2015. Geingob was the first Prime Minister of Namibia from 21 March 1990 to 28 August 2002, and served as Prime Minister again from 4 December 2012 to 21 March 2015. Between 2008 and 2012 Geingob served as Minister of Trade and Industry. He was Vice-President of the South West Africa People's Organization (SWAPO) from 2007 to 2015 and became acting President in 2015 when his predecessor, Hifikepunye Pohamba, stepped down. The United Nations Angola Verification Mission II, established May 1991 and lasting until February 1995, was the second United Nations peacekeeping mission, of a total of four, deployed to Angola during the course of the Angolan Civil War, the longest war in modern African history. Specifically, the mission was established to oversee and maintain the multilateral ceasefire of 1990 and the subsequent Bicesse Accords in 1991, which instituted an electoral process for the first time including the two rival factions of the civil war, the People's Movement for the Liberation of Angola (MPLA), the de facto government of Angola, with control of Luanda and most of the country since independence in 1975, and the National Union for the Total Independence of Angola (UNITA). General elections were held in Angola on 29 and 30 September 1992 to elect a President and National Assembly, the first time free and multi-party elections had been held in the country. They followed the signing of the Bicesse Accord on 31 May 1991 in an attempt to end the 17-year-long civil war. Voter turnout was 91.3% for the parliamentary election and 91.2% for the presidential election. Jan Nico Scholten is a former Dutch politician. The United Nations Transition Assistance Group (UNTAG) was a United Nations (UN) peacekeeping force deployed from April 1989 to March 1990 in Namibia to monitor the peace process and elections there. Namibia had been occupied by South Africa since 1915, first under a League of Nations mandate and later illegally. Since 1966, South African forces had been combating an insurgency by the People's Liberation Army of Namibia (PLAN), the military wing of the Namibian-nationalist South West African People's Organization (SWAPO). The UN Security Council passed Resolution 435 in 1978, which set out a plan for elections administered by South Africa but under UN supervision and control after a ceasefire. However, only in 1988 were the two parties able to agree to a ceasefire. As UNTAG began to deploy peacekeepers, military observers, police, and political workers, hostilities were briefly renewed on the day the transition process was supposed to begin. After a new round of negotiations, a second date was set and the elections process began in earnest. Elections for the constitutional assembly took place in November 1989. They were peaceful and declared free and fair; SWAPO won a majority of the seats. The new constitution was adopted four months later and it was followed by Namibia's official independence and the successful conclusion of UNTAG. 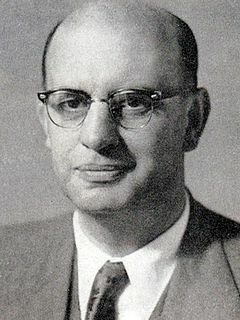 Louis Alexander Pienaar was a South African lawyer and diplomat. He was the last white administrator of South-West Africa, from 1985 through Namibian independence in 1990. Pienaar later served as a minister in F W de Klerk's government until 1993. He married Isabel Maud van Niekerk on 11 December 1954. The Turnhalle Constitutional Conference was a controversial conference held in Windhoek between 1975 and 1977, tasked with the development of a constitution for a self-governed Namibia under South African control. 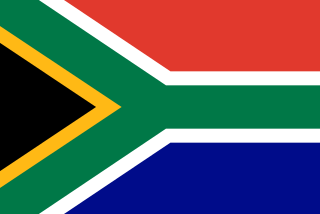 Sponsored by the South African government, the Turnhalle Conference laid the framework for the government of South West Africa from 1977 to independence in 1989. United Nations Security Council resolution 832, adopted unanimously on 27 May 1993, after recalling resolutions 637 (1989), 693 (1991), 714 (1991), 729 (1992), 784 (1992) and 791 (1992), the Council noted a report by the Secretary-General Boutros Boutros-Ghali and enlarged the mandate of the United Nations Observer Mission in El Salvador (ONUSAL) to include the observation of the electoral process. On 14 January 1994, the United Nations Security Council unanimously adopted resolution 894 which discusses various aspects relating to the upcoming South African General Elections. This occurred after the council recalled resolutions 765 (1992) and 772 (1992) on South Africa. Parliamentary elections were held in Ethiopia on 24 May 2015 to elect officials to the House of Peoples' Representatives. Regional Assembly elections were also held on this date. The Sumpul River massacre took place in Chalatenango, El Salvador, during the Salvadoran Civil War. On May 13, 1980, Salvadoran Armed Forces and pro-government paramilitaries launched an offensive to disrupt the activities of the Farabundo Martí National Liberation Front (FMLN). The offensive created many refugees, who were attacked the next day by the Salvadoran forces. 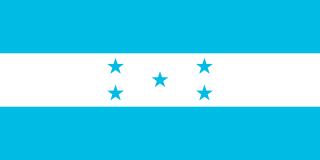 The Honduran military prevented the refugees from fleeing into Honduras. At least 300 and possibly 600 refugees died. Both El Salvador and Honduras denied responsibility for the incident. In 1993, the United Nations Truth Commission described the incident as a serious violation of international law. 1 2 "Meyer Brownstone, former chair of Oxfam Canada, dies at 96". CBC News. April 4, 2019. Retrieved April 4, 2019. ↑ "Meyer Brownstone Fonds" . Retrieved 5 May 2014. ↑ "Oxfam Canada Timeline" . Retrieved 5 May 2014. ↑ "United Nations Association in Canada". Archived from the original on 8 May 2014. Retrieved 5 May 2014.